I’m sure we can all agree that to purchase a new book makes for a feeling of satisfaction. A book is a purchase that could potentially last you a lifetime, not only in its physical form but hopefully if enjoyed, mentally or even emotionally too. 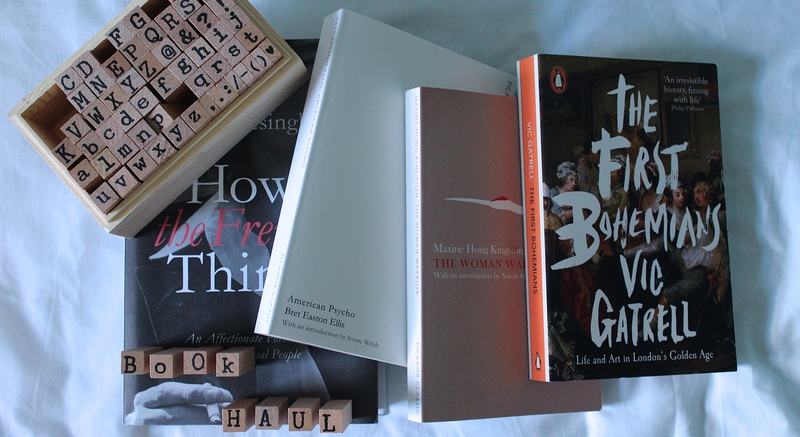 Recently, in the space of two or three days I acquired the four books seen in the photo above. 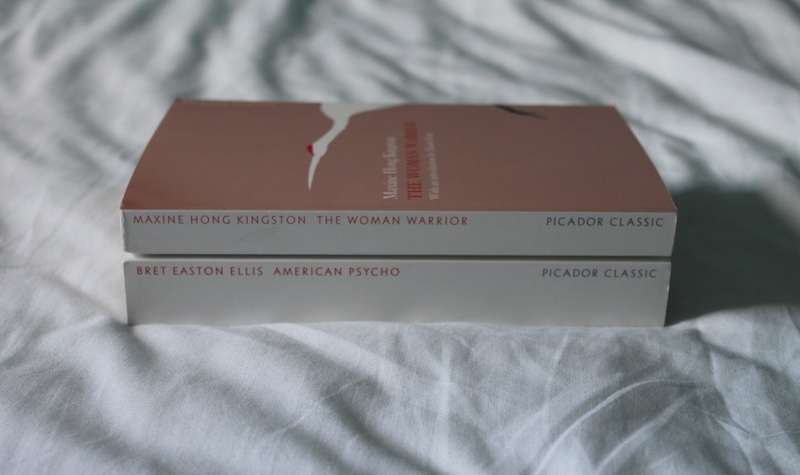 Three of the books were purchased from my local independent book shop called Booka and the fourth, from Waterstones. Firstly, How The French Think by Sudhir Hazareesingh was paid for in half with a gift voucher I won upon leaving school, aptly for French. The sub heading, ‘An Affectionate Portrait of an Intellectual People’, is pretty self-explanatory in that it explains the purpose of said book. The Penguin website states that How the French Think “is warm yet incisive exploration of the French intellectual tradition, and its exceptional place in a nation’s identity and lifestyle”. It serves as an insight into the thoughts and findings of influential French thinkers and writers through history and I am so excited to start this book before starting my French degree in September. I’m also extremely happy that I used my French prize on something so fitting that I can now cherish forever. The next two books were actually part of a ‘two for one’ offer on in Booka, making them a super good investment and a rewarding purchase, made even better by the fact that they were gifted to me, an enormous thank you again to you, Charlotte! The Woman Warrior is a non-fiction, collection of auto-biographical memoirs written by Maxine Hong Kingston. It tells of the experiences of a Chinese-American living in the aftermath of the Chinese Communist Revolution (1946-1949), intertwined with Chinese folktales. The Woman Warrior has been promoted to my next read and Charlotte, I shall let you know if it’s worth borrowing. American Psycho also caught my eye, as a completely different read. This is a novel by Bret Easton Ellis published in 1991, which follows the life of a serial killer / businessman from Manhattan. The fact that it has been adapted into film and musical and the idea that it sits within the genre of transgressive fiction makes it all the more appealing and again, I’m excited that this novel has been added to my bookshelf. Finally, an even more impromptu purchase. 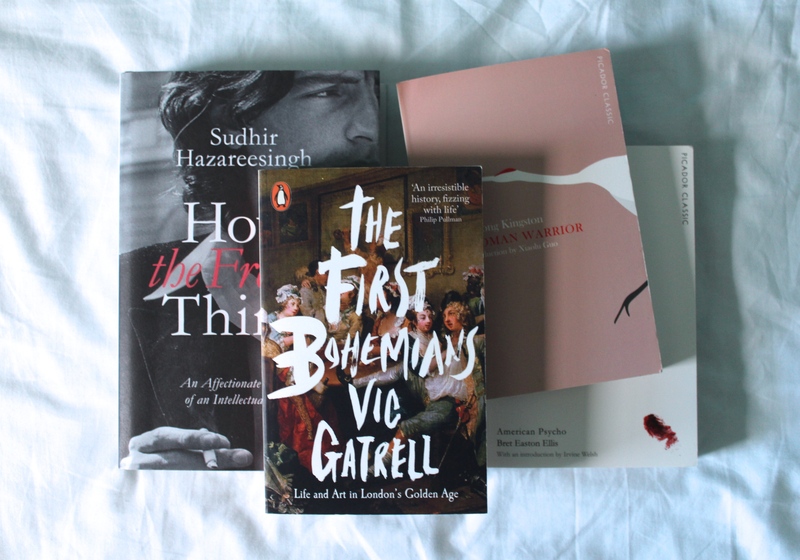 The First Bohemians (Life and Art in London’s Golden Age) by Vic Gatrell stood out to me, having watched the recent documentary series (How To Be Bohemian on BBC) presented by Victoria Coren Mitchell, which explored the roots and interpretations of the term, bohemianism. Both The Telegraph and Goodreads have awarded Gatrell a 4/5 rating here and as a historical exploration into the foundations “bohemianism” it is of interest to me and should therefore be an insightful and educating read. I shall of course keep you posted in the upcoming months with my progress with these four books in particular, having purchased them on my blogging journey.